in sync with the world, day and night. 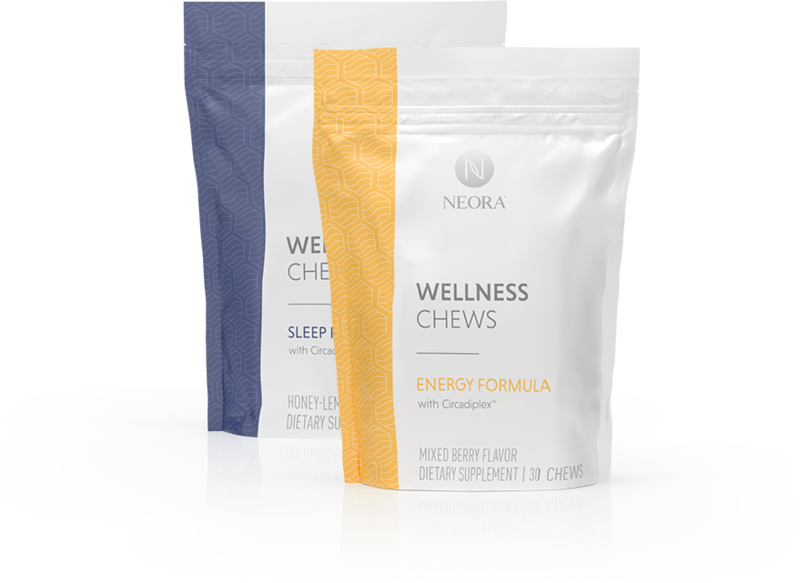 Sample includes 2 Energy Chews and 2 Sleep Chews. Your circadian rhythm is the internal clock that regulates your sleep/wake cycle. When your circadian rhythm is in balance, you feel alert and focused during the day, relaxed and sleepy at night. Aging, stress, travel, lighting and even technology can have a negative effect on your circadian rhythm, making you feel out of sync. Order your free* sample of Wellness Chews today! Getting back into rhythm is simple. Take one Energy Chew in the morning, or whenever you need a boost of energy.† Take one Sleep Chew in the evening or whenever you need help falling asleep.† For best results, take both chews daily. Discover your inner harmony and get your body back in sync.